This year, the BBC has delayed the fifth Stargazing Live series until March to coincide with Friday’s solar eclipse. Brian Cox and Dara O Briain will be joined at the Jodrell Bank Observatory by Rosetta lead scientist Matt Taylor and none other than Astronaut Buzz Aldrin, who has already arrived in England according to the program’s Twitter stream. As before, this will be very much worth watching and every bit as interesting as in the previous four years. Because there will be a live broadcast of the eclipse on Friday morning, the schedule will be a bit different this time with one additional program. Update: The highlight of this year’s series, the view of the total eclipse from the plane that the Stargazing Live team sent up, has been uploaded by the BBC on its own channel and Episode 1 and the first after-show chat Back to Earth have also been uploaded by somebody else, albeit in a bit of an unusual fashion with a large border around the image. Although if even the ESA links to this video in a Google+ post, it should not be a problem here too! On Thursday, there were even more sad news with the passing of the great Terry Pratchett, the inventor and curator of the Discworld. I had posted the review collection of the Discworld adaptations only shortly before Christmas and now sadly the creator of one of the greatest satirical fantasy worlds of them all has left us. But I am sure the turtle will continue to move without him. I also wrote a longer post over on the main blog, but it’s only fair to mention his passing here too. 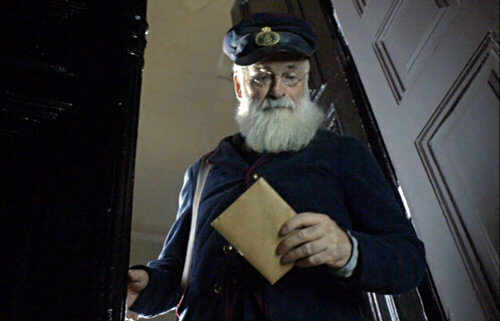 Terry Pratchett playing a short guest role as a postman in Going Postal. More sad news – Harve Bennett, the producer and writer behind the Star Trek movies of the 1980s, has passed away only a short time after Leonard Nimoy. Bennett, a former television producer, came to Star Trek knowing nothing about the series and ended up knowing everything about it – without him The Wrath of Khan or The Search for Spock would not have existed. Together with Leonard Nimoy and Nicholas Meyer, he was the one who transformed the Star Trek franchise into the classics they have become today. 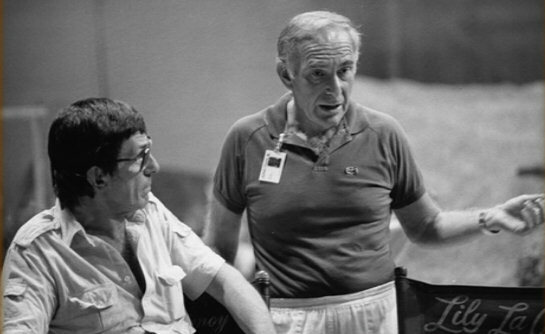 Harve Bennett and Leonard Nimoy working on Star Trek III.